Last week of an amazing month. Time is flying on a tropical Island! May has been an amazing month for diving. Whale Shark has been seen almost everyday, making lots of people happy. Some instructors or Dive Master having accumulated many dives were finally lucky enough to experience that crazy feeling of having such creature next to them. Others, like lucky Open Water students, manage to see their first Whale Shark on their 3rd dives of their life! Anyway, the most important is that everybody got their chance. 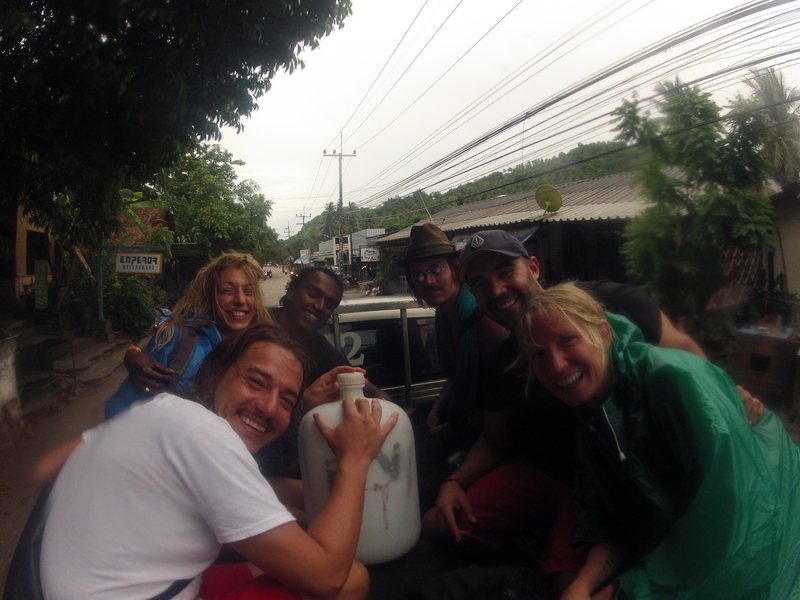 On our side, DivingOnKohTao team, we’ve been busy in and out of the water. Some Open Water, Advanced and some Rescue Courses were on the menu with one more time, plenty of smiles around. Busy out of the water as well? Yes! In order to improve our communications, social networks and internet activities, we went to Bangkok to participate to the PADI Business Acamedy. It’s been a fantastic 2 days and thanks to all the PADI team, we learned a lot! Now, we are working on every aspect! For those of you following us on Facebook, you might have noticed that we changed our “friend” page into a “fan” page. That’s a first step! We will keep you as up to date as before with pictures and videos. Conditions on Koh Tao are still as good as it should. A bit of wind, but a really good visibility. Let’s hope that our Whale Sharks will stick around and let’s get ready for another month of happiness!